Sometimes the basic tips are the ones I just don’t share much – but I hope this one helps: be patient. Sometimes waiting for the alcohol to dry makes a difference in seeing what is working! Watch the video below or click HERE to see it in HD on YouTube. 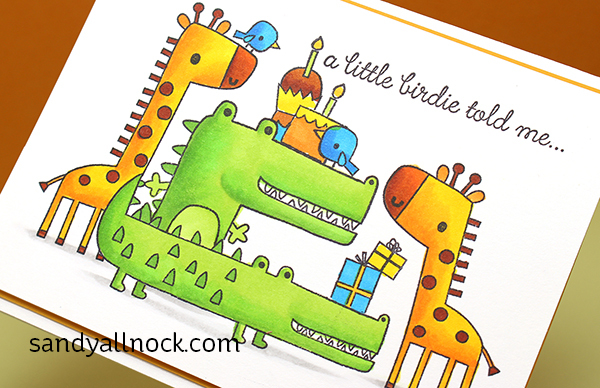 Another card done a while back with Reverse Confetti stamps – see the blog post for Party on a Card with its video HERE! 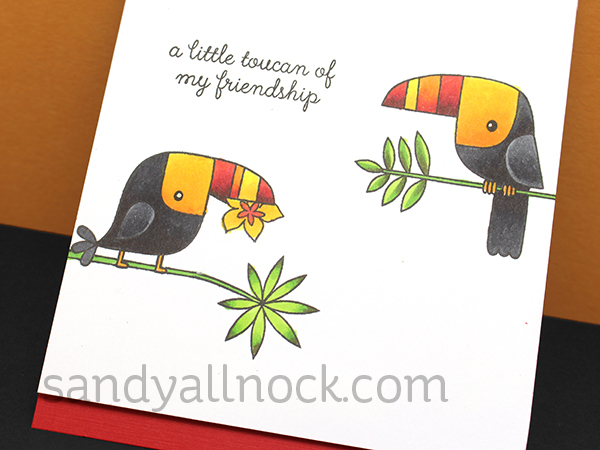 Love the bright happy colors on both cards. Thanks for helping me understand why my pens sometimes bleed! Now I will practice patience! Thank you for the tips. I am not a very patient crafter. Great video and very nice card, love it! 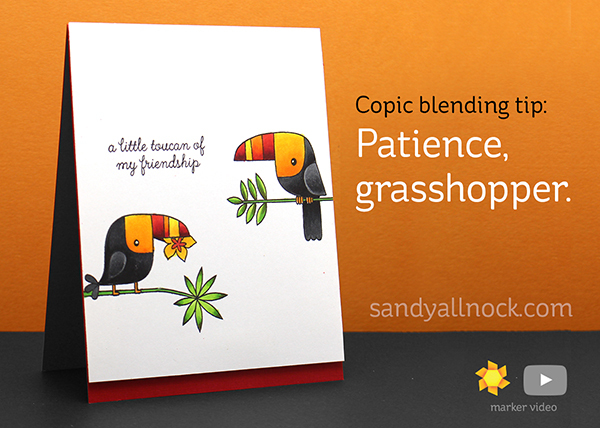 Absolutely FUN and cheery cards Sandy, wonderful job on them both! Your “little” tips mean so much when it comes to better results! I also like the way you customize stamps by drawing in additional features that you want. Thanks for sharing! I tried logging in to your update info for both the blog and newsletter but I could not get on your page listed. It stated it was the wrong address. Reverse Confetti has some really cute stamps. Thanks for showcasing a couple of them. As always, I love the color choices.